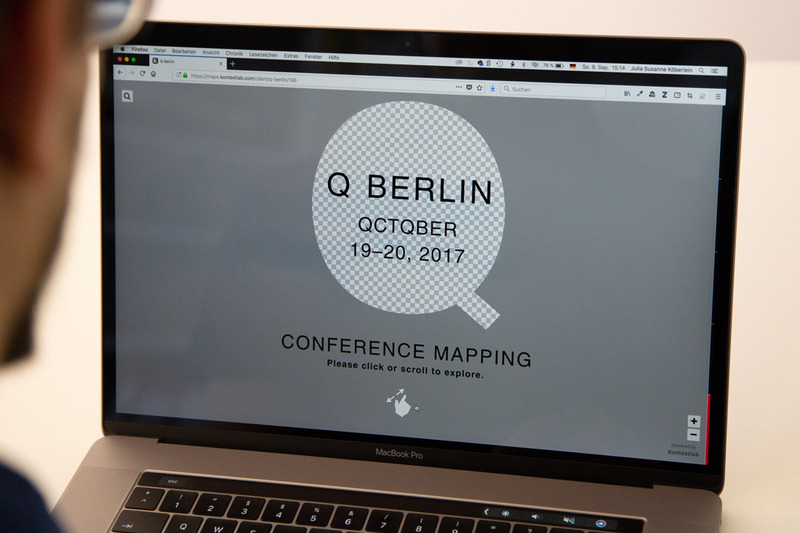 Project: The new conference Q Berlin Questions took place for the first time in autumn 2017. Prominent international speakers talked about future topics from AI to human rights to urban development. In addition to the talks, musicians performed and at certain times, the conference participants went out to dinners and “immersions” in Berlin. Finally, numerous spontaneous speakers gave their lectures in a marathon session. Solution: In order to show the format and to publish the content, the publishing of the thematic map happend in three phases. Before, during and after the conference. At first, the program was teased randomly, except for a few very prominent speakers many only greyed out and displayed without information. Just moments before the conference, the program was online. During the conference we filled the individual program items with the current contents. For this we wrote short texts, took photos and rearranged the map. In the last phase, the videos of the talks were incorporated, thus completing a picture of the conference. 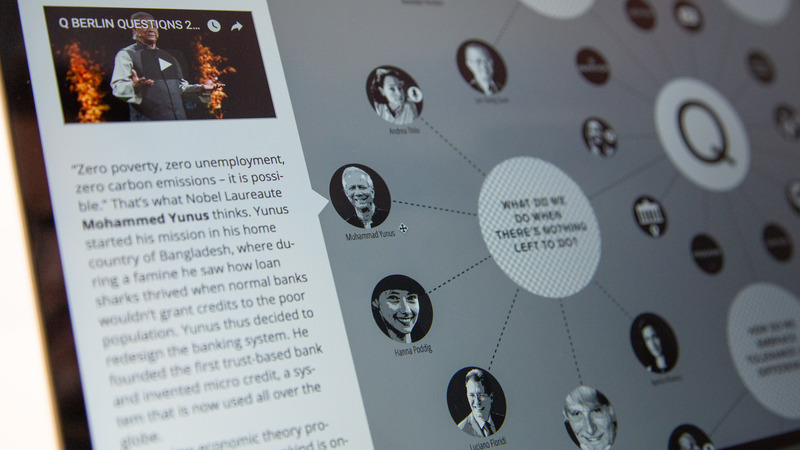 Conclusion: The topic map of the conference was developed live with the conference. 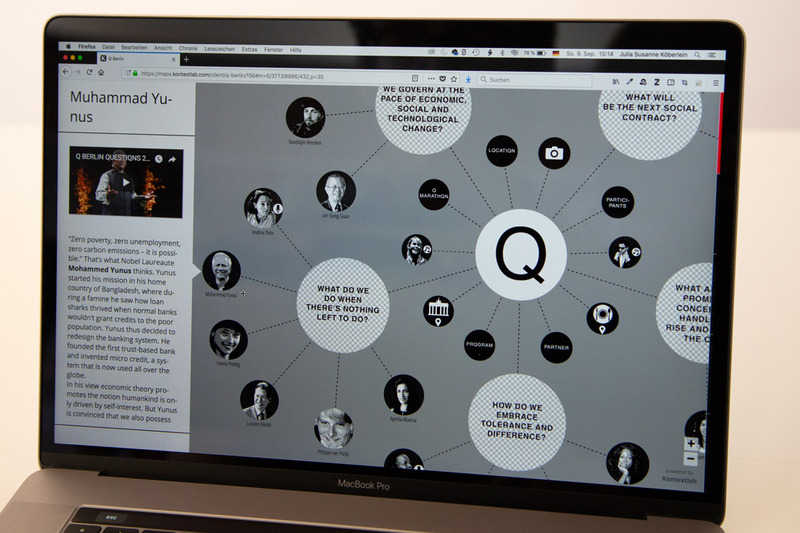 The reader could see at each point in time where the conference had arrived and could always go on a journey to discover more about the content of each talk and performance. 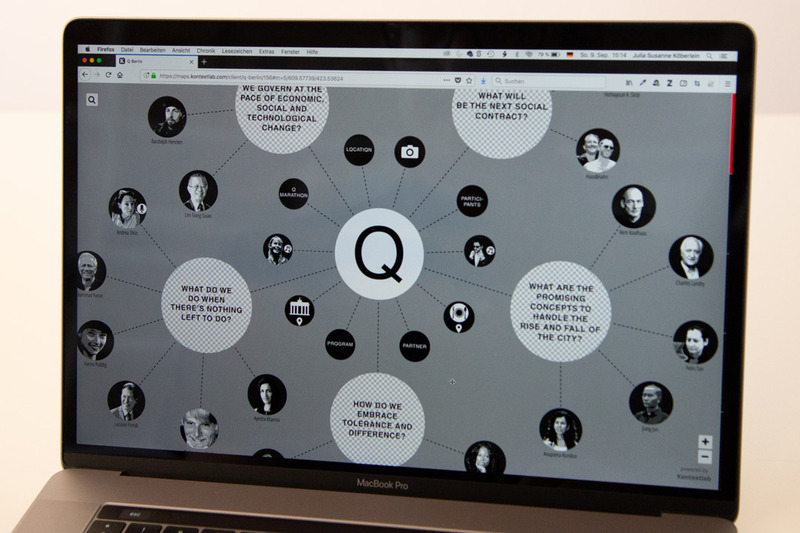 After the conference, the map will remain as an interactive archive.